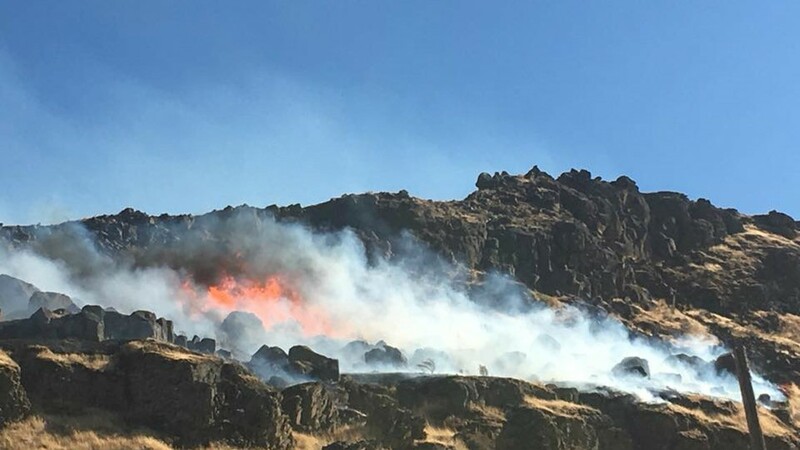 The state fire marshal is on the scene of the fire near Biggs Junction, about 20 miles east of The Dalles, to investigate the cause. 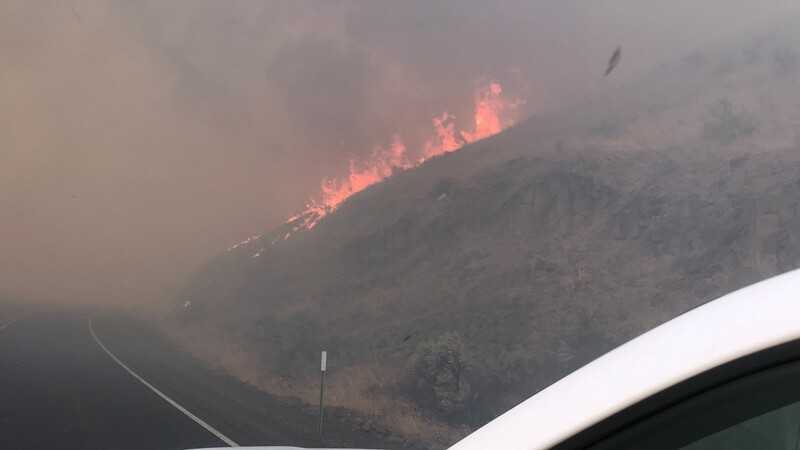 BIGGS JUNCTION, Ore. — A wildfire that broke out in the Columbia River Gorge and closed a section of Highway 97 Tuesday evening was fully contained by Wednesday morning, but the Sherman County Sheriff's Office said the fire flared up again Wednesday afternoon. It is now 100 percent contained. In a Facebook post, the sheriff's office said the fire was running northwest toward Fulton and Highway 30. The fire had briefly threatened a home but, the home's sprinkler system helped save the home, according to the sheriff's office. Firefighters will continue mop-up overnight into the morning. "We don’t want another flare up that happened like today," North Sherman Fire Captain Steve Roak said. 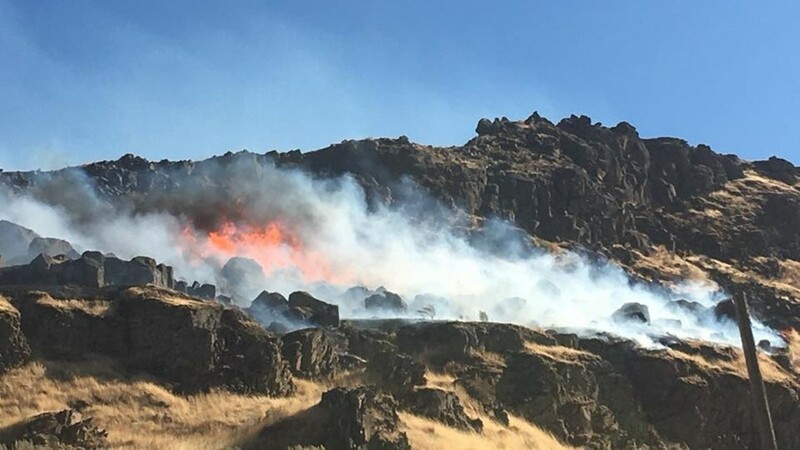 The state fire marshal arrived near Biggs Junction, about 20 miles east of The Dalles, to investigate the cause of the fire. Highway 97 was fully reopened by Wednesday morning. 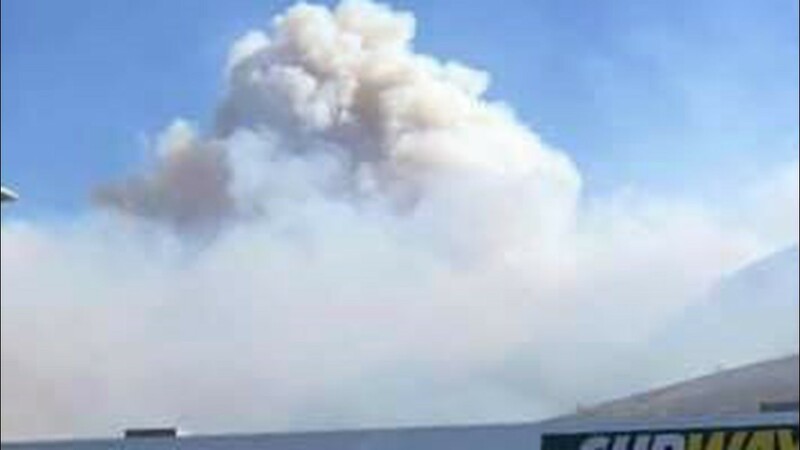 The fire started at about 3:45 Tuesday afternoon. 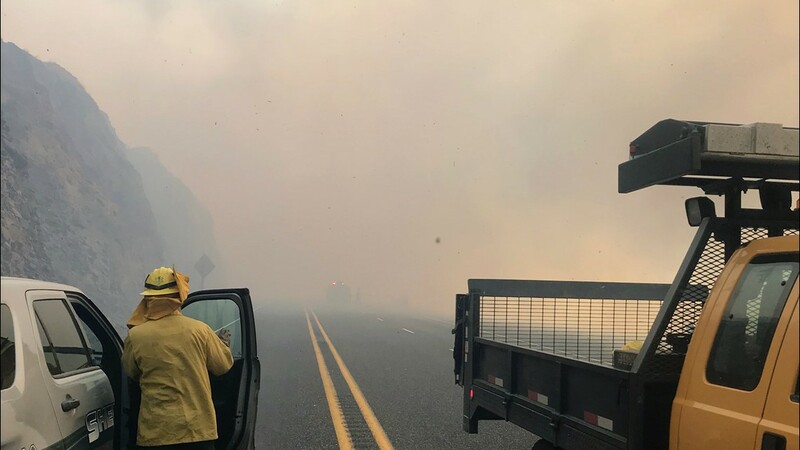 By 9 p.m., the fire had spread southeast about five miles to Scott Canyon Road, south of the community of Rufus, the Sherman County Sheriff's Office said. At that point, the fire was roughly 5 miles wide by 6 miles long. Several homes and other structures were threatened, but none have burned, police report. The fire burned in an area that was devastated by wildfires this summer. 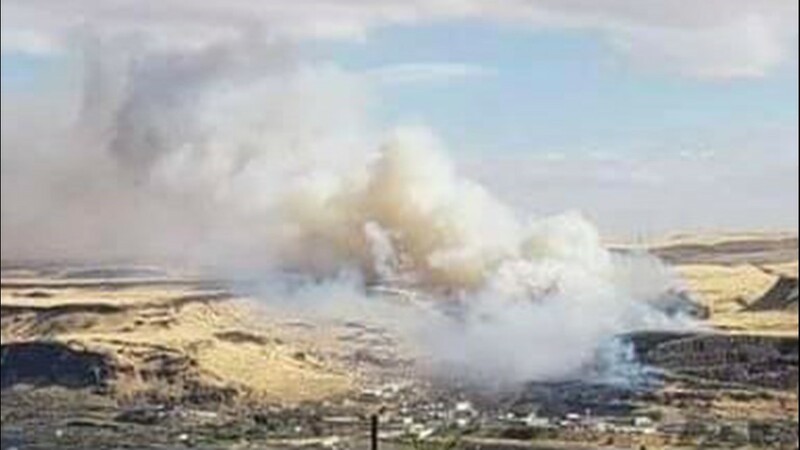 The Substation, Long Hollow and South Valley fires burned more than 120,000 acres in Wasco and Sherman counties.